Here's Your Chance To Gain List Building Momentum And Create Residual Traffic! YOU WILL EARN COMMISSIONS ON EVERY LINK YOU CLICK! It's simple to get started... join right now for free and grab your guaranteed traffic right to your site using our proven methods of advertising! 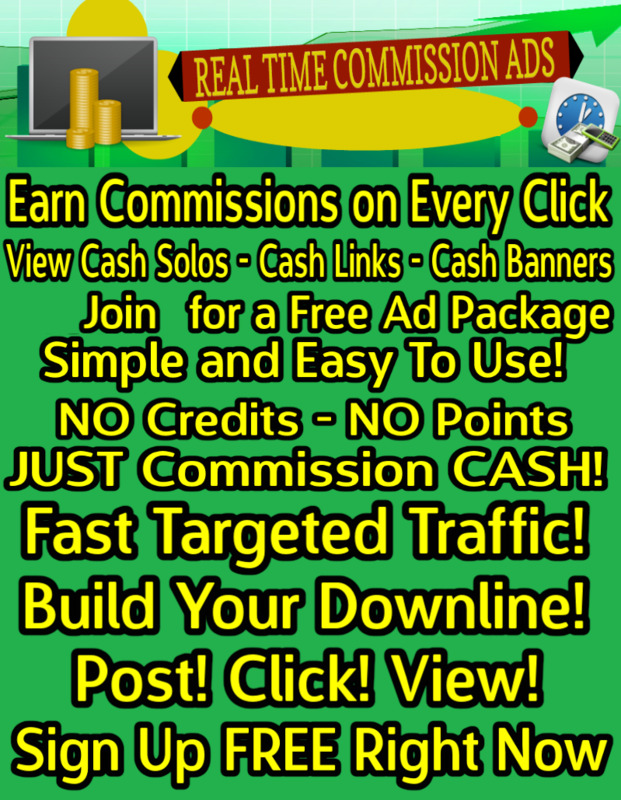 Everyone who joins receives a free ad package. No promo code needed. All ad packages added to their account automatically. Plus, if you upgrade, you most definitely enjoy even BIGGER benefits! Get your share of targeted traffic, build your downline, and earn cash commissions! Post! Click! View! That is all there is to it to earn commissions.